High-throughput characterization of allergens relies often on phage display technique which is subject to the limitations of a prokaryotic expression system. Substituting the phage display platform with a yeast surface display could lead to fast immunological characterization of allergens with complex structures. Our objective was to evaluate the potential of yeast surface display for characterization of plant-derived food allergens. The coding sequence of mature actinidin (Act d 1) was cloned into pCTCON2 surface display vector. Flow cytometry was used to confirm localization of recombinant Act d 1 on the surface of yeast cells using rabbit polyclonal antisera IgG and IgE from sera of kiwifruit-allergic individuals. Immunological (dot blot, immunoblot ELISA and ELISA inhibition), biochemical (enzymatic activity in gel) and biological (basophil activation) characterization of Act d 1 after solubilization from the yeast cell confirmed that recombinant Act d 1 produced on the surface of yeast cell is similar to its natural counterpart isolated from green kiwifruit. 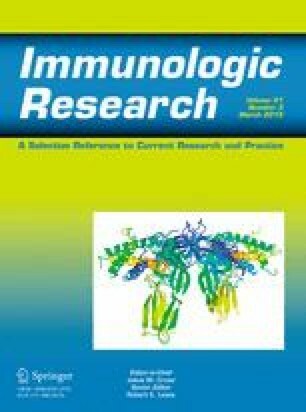 Yeast surface display is a potent technique that enables fast immunochemical characterization of allergens in situ without the need for protein purification and offers an alternative that could lead to improvement of standard immunodiagnostic and immunotherapeutic approaches. The authors thank Dr. Dane Wittrup (MIT, USA) for the surface display vector and yeast surface display strain and Dr. Milica Grozdanovic (Faculty of Chemistry, University of Belgrade) for the rabbit polyclonal antisera against natural Act d 1. This work was supported by Grant 172049 from the Ministry of Education, Science and Technological Development of the Republic of Serbia and a FEBS Collaborative and Experimental Scholarship for Central and Eastern Europe. The study did not require the approval of the ethics committee. Baker PR, Clauser KR, http://prospector.ucsf.edu.